Rounding out their first month of events, 1 Million Cups met this morning with its signature coffee and entrepreneurial endeavors. This week, Cyphr and The Purr-fect Paw told 1MC what they are bringing to the community and what community could do for them. 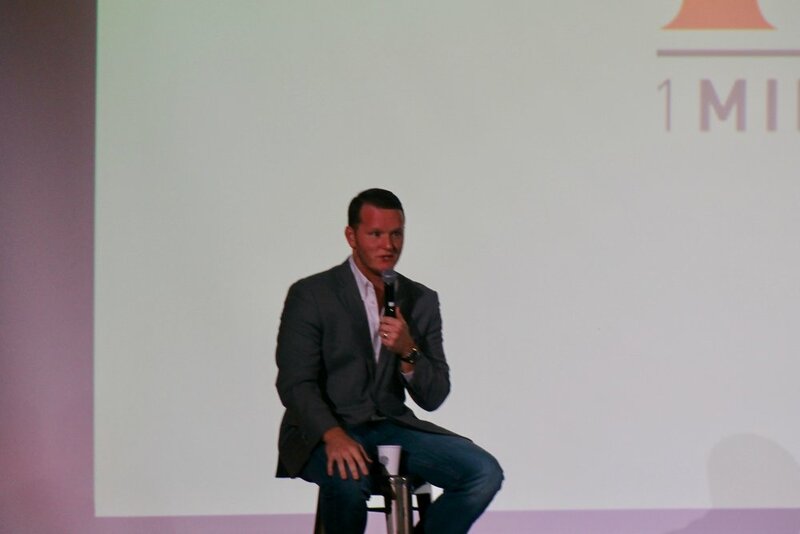 Dawson Barksdale, CEO and co-founder of Cyphr, created the company in 2013 in an attempt to find a win-win way to do advertising without spending an exorbitant amount of money and without being blasted with ads. Cyphr seeks to fulfill a need in Waco--incentivizing traffic to small businesses. Gone are the days when an open sign would quickly bring in customers. Today, people seek out deals. Cyphr utilizes an app to collect those deals in one place and, using a targeted marketing technique, send out "secrets" (time-sensitive deals) to users who have both downloaded the app and selected that business. "Local business are what make up the backbone of our economy," Barksdale said. "No matter how you vote, no matter who you care about politically, what makes this country great is the ability to run your own business. That's the American Dream. That's what makes us so strong, and their voice is being dampened. And our goal is to make give them a voice again--it's give local businesses the voices they deserve." They have three goals: to save consumers money rather than throw advertisements at them, driving sales to small businesses affordably (10 cents per secret), and making the interface simple. What do they need from Waco? They urge consumers to download the app from the app store, local businesses to visit their website and set-up (7-15 minutes of time), and to continue to make people want to come, live and work in Waco. 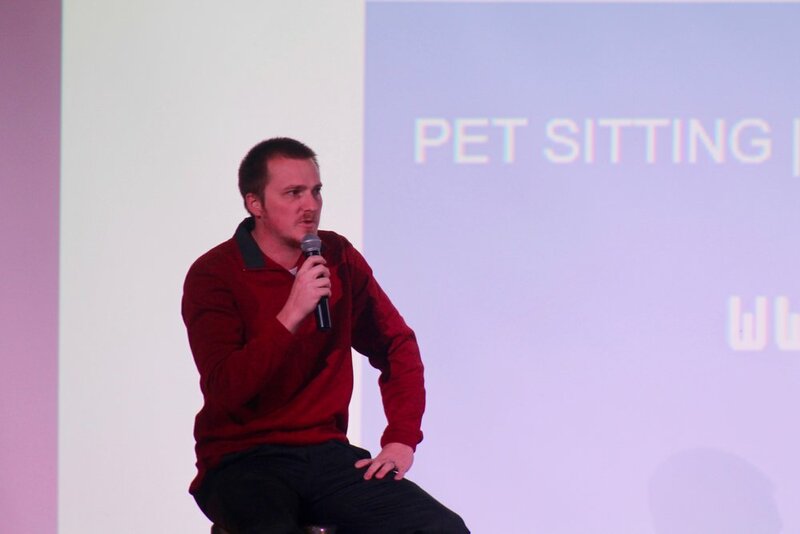 Presenting for The Purr-fect Paw was Waco native Justin Gentry. In 2011, Gentry started this professional pet care service in Waco to fill a need in the market. Their website is user-friendly, their employees pet-friendly, and their mission local-friendly. Although there are competing sitter services in Waco, such as Rover, The Purr-fect Paw brings in a professional aspect which offers online scheduling, a GPS software to track walks, and is insured. Gentry also personally visits with each prospective client in order to gauge the temperament and personality of the animal. "I really want to be the best at pet sitting," Gentry said, when asked if he was going to dabble in other areas of pet care. "I want to dominate the current market." While 95% of their business is dogs and cats, they have also worked with rabbits, horses, donkeys, sugar gliders, chinchillas and other exotic or farm animals. They utilize a lock box system to make your home remain secure. Audience members were intrigued by the business, many of them pet owners, due to the friendly, passionate staff Gentry employs. The software that they provide allows consumers to schedule and pay online, see when the sitter checked in and checked out as well as their walking route, and, upon their leaving, receive a photo and a note detailing how the visit went. From Waco, Gentry asks that the community help him with his attempts to partner with apartments, particularly Baylor apartments, to grant pet owners within that complex discounts.He is also seeking franchise options. If you would like to become a small business mentor or mentee, please contact Kevin Renois at kevin@citycenterwaco.com. Also, if you haven't already, be sure to download the 1MC app and apply to present! Watch the entire live feed of this morning’s event here. 1MC Waco will not meet next week due to the holiday. Their next event will be on November 30th at 9AM in the Hippodrome featuring Blue Thumb and they still have a slot open, so take the Thanksgiving break to practice and apply to present.